Word on the street is that Amber Ford is going to be famous. Cleveland art circles have been buzzing about the talented young photographer and her compelling work that focuses on race, gender, and identity. Amber, who graduated from Brush High School in 2012 and the Cleveland Institute of Art in 2016, has been quickly making a name for herself in the art community. Her latest exhibition, “By Force & By Choice”, was recently on display at Zaina Gallery at West 78th Street Studios. The show featured portraits of local immigrants and refugees, a body of work that Amber considers “an ongoing response to the idea of identity.” The show included a fundraiser to support the US Committee for Refugees and Immigrants, something that Amber feels is of particular importance given the current political climate. Selected as a 2016 Creative Fusion Artist by the Cleveland Foundation, Amber created a series of photographic murals currently on display on the front of the Ohio Pasta building at the corner of Detroit and West 32nd. Amber Ford began attending SEL Schools in the third grade after her family moved to South Euclid from Cleveland. Her interest in art began when she started attending Brush. She mentions Sarah Curry and Hadley Conner as the teachers that fostered her talent and encouraged her to pursue art as a career. “I used to go the art room any time I had a free period. It was my ‘me time’, recalls Amber. All the time spent in the art room paid off when Amber received a full scholarship to the Cleveland Institute of Art. At CIA, Amber new immediately that she was drawn to photography as a major. “I had an advantage among other students who were not familiar with the dark room and traditional film photography, since Ms. Conner taught us those skills at Brush”, Amber remarked. Amber excelled at CIA and won a prestigious Agnes Gund traveling scholarship in her senior year, which allowed her to travel to New Orleans for a National Geographic photography workshop. During her time in New Orleans, Amber stayed in the 7th Ward and began photographing the area and its people, in addition to learning new skills at the intensive workshop. Issues of race also informed Amber’s time at Brush. 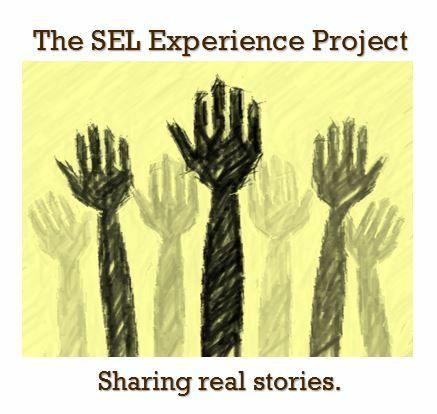 “When I started at SEL Schools, the students were mostly white. When I graduated, they were mostly black. When the schools started to become mostly minority, people began to say the schools were in decline. That’s always bothered me.” Amber feels that she received a great education at SEL Schools and that she was well prepared for college. Amber hopes that SEL continues to make arts education a priority. These days, Amber is working at the Cleveland Print Room as the Community Education Liaison and an instructor for the Multiple Exposures Art Mastery Program. The Cleveland Foundation grant funded program brings immersive arts education to middle and high school students in Cleveland. Students express their creativity through photography and master the skill of visual storytelling. This summer, Amber also begins creating her own new work for upcoming shows. While contemplating a potential relocation to the South, Amber is enjoying her time in Cleveland and being a part of the vibrant art scene. Awarded an Ohio Arts Council Individual Excellence Award for 2017, Amber’s future success seems assured. Amber’s steadily growing fan base will be anxiously watching to see how her future develops. Find out more about Amber’s work on her website: http://www.ambernford.com/.